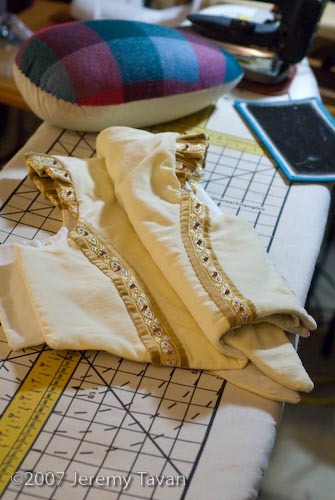 The beading has finally started and more beads are on order! 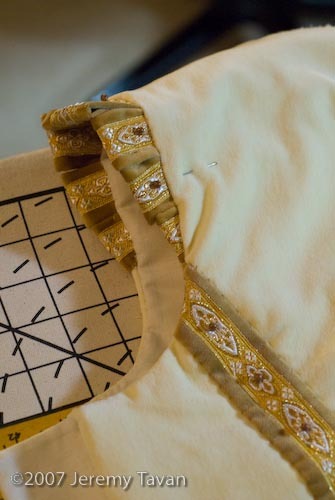 Here are some images of the trim my client purchased for her gown that was combined with caramel velvet and beading. 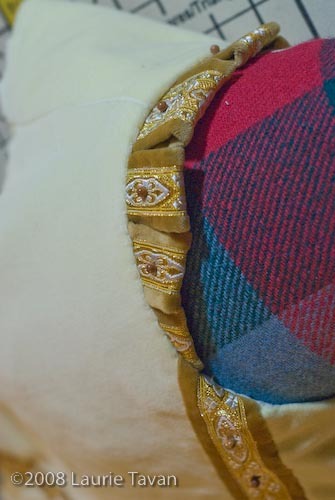 A chevron of the trim will adorn the back and continue down the center front.